Taking the time to make a Christmas centerpiece isn’t always an option when you’re busy cooking Christmas dinner! 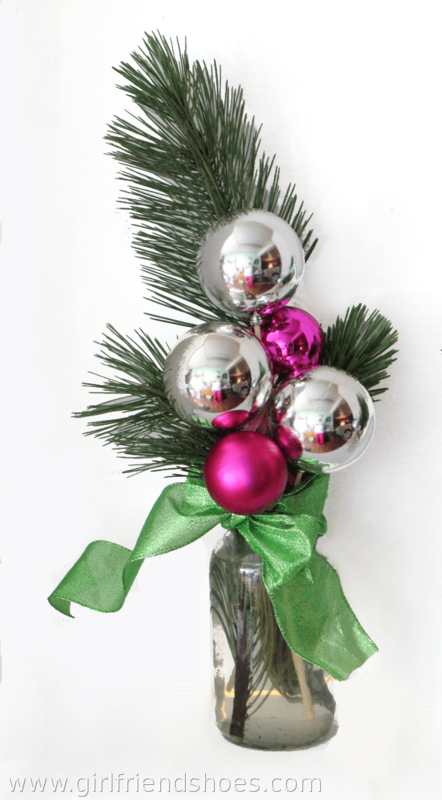 This Christmas centerpiece idea is quick and easy! I used two over sized Christmas tree balls and stuck a piece of holly into one where the ornament hangs from. I then placed them on a plate with some small spruce tree branches surrounding them on a plate. There, that took about 5 minutes and it’s really cute. 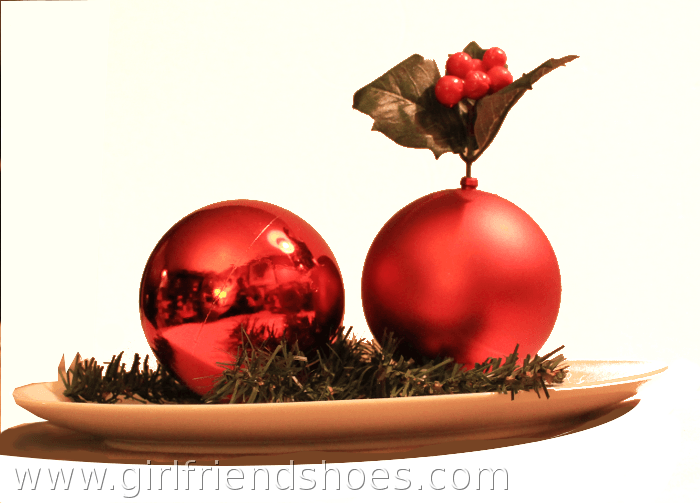 You can add more balls around the plate or even little fairy lights. These Christmas centerpieces are not only great for the dining table decor but would make a lovely decoration anywhere around the house. 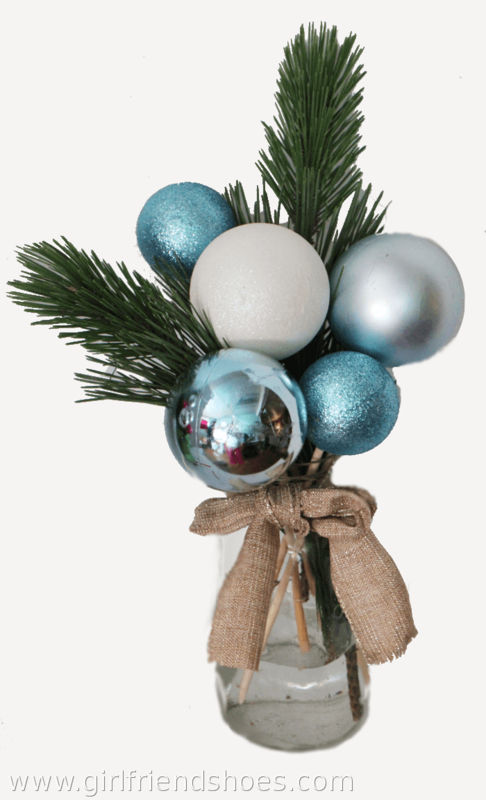 All you need is a few ornaments, a mason jar, some spruce branches. I used wooden dowels from the craft store to secure the balls. I took off the part where the ornament hangs from and stuck the dowel into the hole. I then kept them in place with some craft wire. Once I arranged them the way I liked I tied some ribbon around the mason jar and put some water into it and done. Super quick and easy centerpiece. I think these mason jar decorations would make a lovely accent to a mantle or something. I just love that the spruce twigs are real. What’s your Christmas centerpiece plan, do you have one or not very worried about it?